On Thursday evening I headed over to the late opening of the Vitality Show in London’s Earl Court and I had a really great evening. The Vitality Show, for those who haven’t been before is quite a female focused exhibition featuring health and fitness, nutrition, beauty and mind over matter life coaching. There is quite a section on yoga and there are lots of talks and seminars covering a range of topics such as how to de-stress, how to get in shape and lots on food and nutrition. 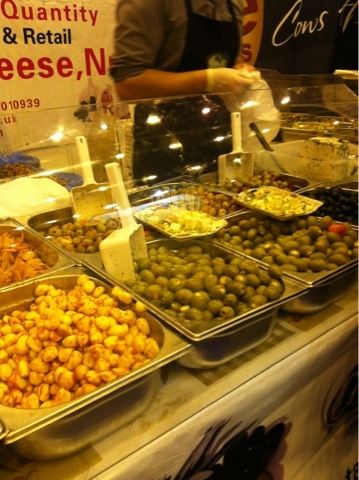 One of my favourite parts of the evening was having the opportunity to wander round and sample lots of different types of food, lots of cheeses, olives, healthy cereal bars and Heinze’s new gluten free pasta…..yum!!! There are lots of beauty related stands where you can get mineral make up, a range of lotions and scrubs many of which are organic. You can book yourself in for a Sally Hansen manicure which is great value at £5 and there are lots of goodie bags on offer with lots of interesting products to try. 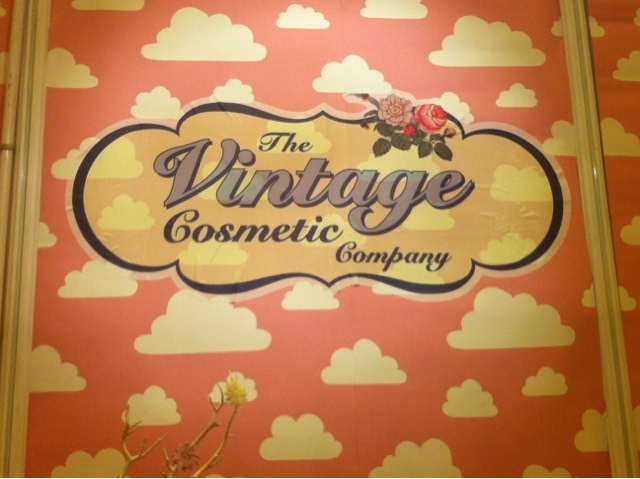 One of my favourite stands was the vintage cosmetic company. 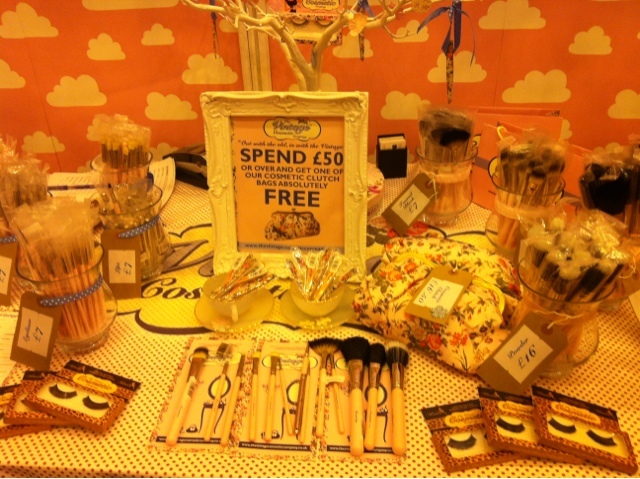 This is a beautiful stand selling lovely make up brushes, make up bags and false eyelashes. I met the very lovely Clare who is the owner of the company and she talked me through her products. I purchased the fantail brush and will do a review of it shortly. 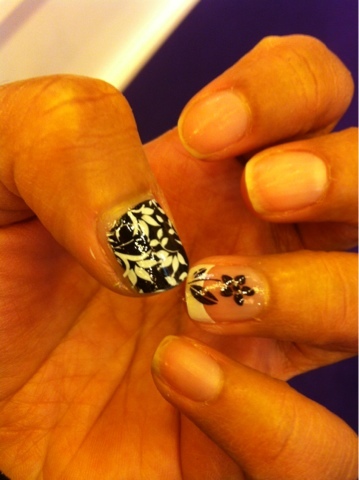 Another interesting stand was the MoYou Nails stand. It’s about nail design but using stencils, rollers and a transfer sponge and I was quite impressed with the finished result. 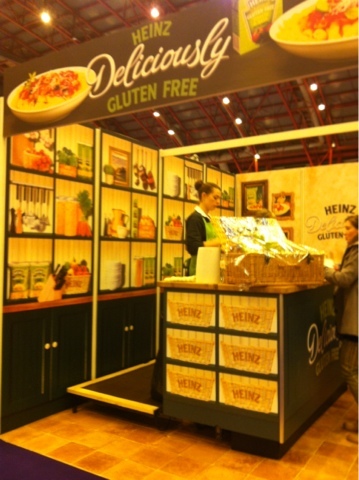 The Vitality Show is on all weekend so if you’re free head down to Earls Court 2 and have a look.